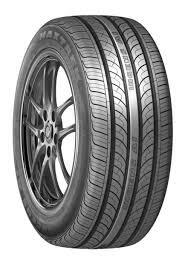 Choose the Ingens A1 for a high performance tyre you can trust. To really enjoy your driving, you need excellent stability, responsiveness and traction in all situations and at all times, which is what you get from the Maxtrek Ingens A1. The tread pattern also offers great comfort and reduced road noise while draining plenty of water in the wet to reduce aquaplaning. All this helps to ensure you get the best results on every journey, even in wet conditions so don’t miss out on Ingens A1 tyres now. Choose the Ingens A1 for a high performance tyre you can trust. To really enjoy your driving, you need excellent stability, responsiveness and traction in all situations and at all times, which is what you get from the Maxtrek Ingens A1. To really enjoy your driving, you need excellent stability, responsiveness and traction in all situations and at all times, which is what you get from the Maxtrek Ingens A1. The tread pattern also offers great comfort and reduced road noise while draining plenty of water in the wet to reduce aquaplaning.All this helps to ensure you get the best results on every journey, even in wet conditions so don’t miss out on Ingens A1 tyres now.